Hiking and trekking are both exactly the sorts of activities in which you want like to save as much as weight as possible in order to be able to enjoy the adventure and the experience nature to the full. In addition to a lightweight tent, the Trek Lite, and an ultralight self-inflating sleeping pad, the Trek Bed, Outdoorer has also developed a lightweight sleeping bag called the Trek Night, which has a small pack size; because the small pack size simply makes it much easier to pack. The ultralight sleeping bag weighs only 980 g including the transport bag. Yet it is also well insulated and has a comfort range of down to +5 C. The filling of the lightweight sleeping bag is made of a down-like synthetic fibre that feels very soft. The zips are of high quality. At the top, there is also is a Velcro fastener. The material chosen for the light sleeping bag Trek Night is very high quality, Outdoorer used Rhombus Ripstop Polyester so you can have more fun with it. Where can you buy the light sleeping bag Trek Night? 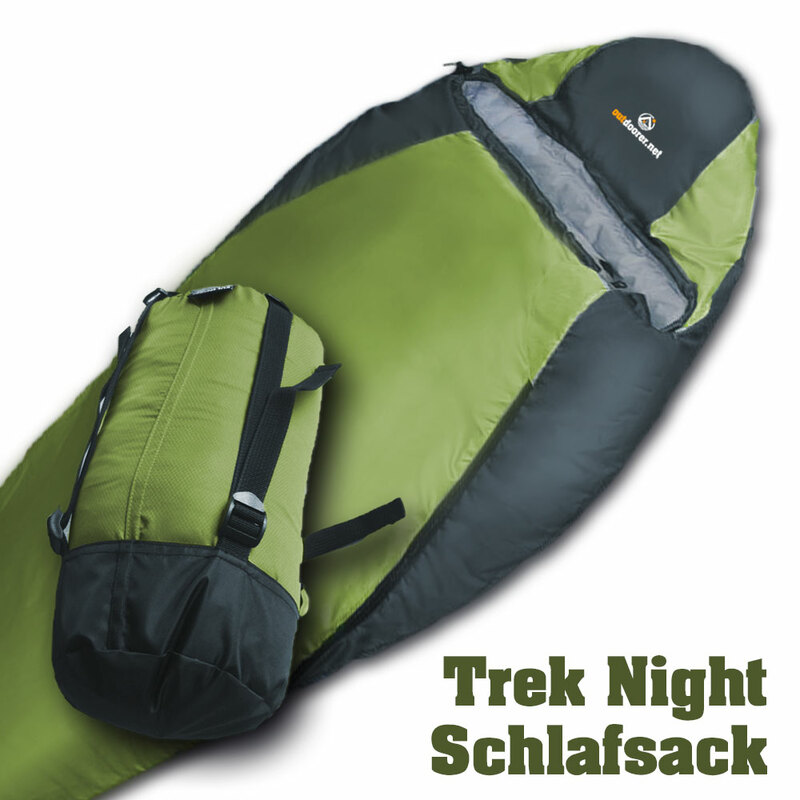 The sleeping bag Trek Night is available in our Amazon-Shop.